Generic Retin-A (Retino-A by Johnson & Johnson) is a medicine that is used for topical application in the treatment of acne vulgaris and keratosis pilaris. Tretinoin gel is most commonly used as a form of acne treatment. Tretinoin is also a component of many commercial products that claim to be able to slow skin aging or remove wrinkles. Topical Tretinoin cream is also used to treat and reduce the appearance of stretch marks by increasing collagen production in the dermis. In our online pharmacy we supply Retino-A cream also manufactured by Johnson & Johnson in the strengths of 0.05% and 0.025%. Tretinoin gel generic is also available under the brand names Aberela, Airol, Renova, Atralin, Retin-A, Avita, Refissa, or Stieva-A . We also have in stock Adapalene gel 0.1% (Adaferin) which is a retinoid, which is used for the topical treatment of acne vulgaris in patients 12 years of age and older. 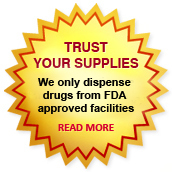 We supply original Retino-A Cream manufactured by Johnson & Johnson Private Limited, India. The active ingredient present in Retino-A Cream is Tretinoin. The strength of Retino-A Cream is 0.05% and 0.025% . Tretinoin cream (Generic Retin-A Gel) is most commonly used as a form of acne treatment and is the best studied retinoid in the treatment of photoaging. It is used by some as a hair loss treatment and also a component of many commercial products that are advertised as being able to slow skin aging or remove wrinkles. The cream is also used to treat and reduce the appearance of stretch marks by increasing collagen production in the dermis. 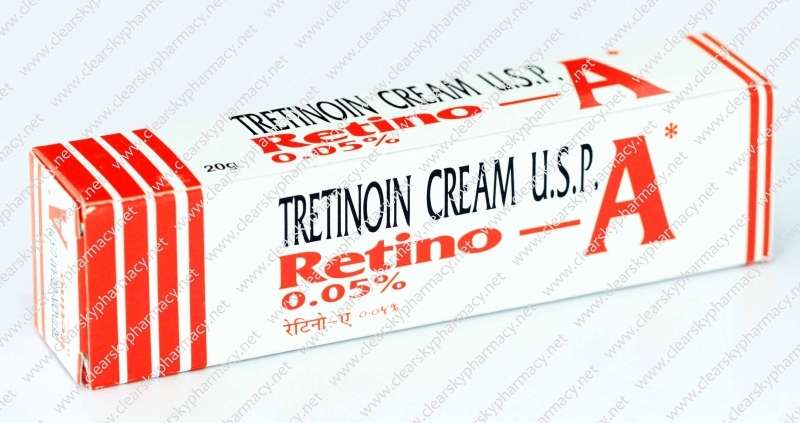 Tretinoin is sold under many brands including Retin A, Tretin, Aberela, Airol, Renova, Atralin, Avita, Refissa, and Stieva-A. Generic Retin-A cream (Tretinoin gel) 0.05% and 0.025%, should be applied once a day, in the evening, before retiring, to the skin where acne lesions appear, using enough cream to cover the entire affected area lightly. Retino-A cream by Johnson & Johnson is usually applied once daily, in the evening. Using more medicine or applying it more often than prescribed will not make it work any faster, and may increase side effects. Do not use for longer than your doctor has prescribed. Before applying, clean and dry the skin area to be treated. Wash your hands before and after applying it. Wait at least 20 minutes after washing your face before applying a thin layer of the medication. Applying the cream to wet skin may cause skin irritation. Do not wash the treated area for at least 1 hour after applying this medicine. Applying an excessive amount of gel may result in "pilling" of the medication. If this occurs, use a thinner layer of gel with the next application. It should be used as part of a complete skin care program that includes avoiding sunlight and using an effective sunscreen and protective clothing. Use Generic Retin-A for as many days as it has been prescribed for you even if you think it is not working. It may take weeks or months of use before you notice improvement in your skin. If you are using it to treat acne, your condition may get slightly worse for a short time when you first start using the medication. Call your doctor if skin irritation becomes severe or if your acne does not improve within 8 to 12 weeks. Use Retin-A as soon as you remember. If it is almost time for the next dose, skip the missed dose and wait until your next regularly scheduled dose. Do not apply extra medicine to make up the missed dose. Tretinoin Gel is generally well tolerated after nightly application. Side effects of Generic Retin-A Cream have been usually restricted to mild irritation, evidenced by peeling and erythema, especially in the early stage of treatment. Some patients may experience a transitory sensation of warmth or slight stinging after application of Retino-A cream. The side efffects of Tretinoin Gel (Generic Retin-A Cream) are given below. Stop using Generic Retin-A cream and get emergency medical help if you have any signs of an allergic reaction including: hives, difficulty breathing, and swelling of your face, lips, tongue, or throat. Less serious side effects may include: burning, warmth, stinging, tingling, itching, redness, swelling, dryness, peeling, irritation, or discolored skin. Generic Retin-A Gel is contraindicated in patients with a history of sensitivity reactions to Tretinoin or any of its inactive components. Retino-A Cream should be discontinued if hypersensitivity to any of its ingredients is observed. Avoid using skin products that can cause irritation, such as harsh soaps, shampoos, or skin cleansers, hair coloring or permanent chemicals, hair removers or waxes, or skin products with alcohol, spices, astringents, or lime. Do not use other medication skin products unless your doctor has told you to. Your skin may be more sensitive to weather extremes such as cold and wind while using Retino-A Cream. Avoid exposure to sunlight or artificial UV rays (sunlamps or tanning beds). Generic Retin-A can make your skin more sensitive to sunlight and sunburn may result. Use a sunscreen (minimum SPF 15) and wear protective clothing if you must be out in the sun. Avoid getting it in your eyes, mouth, and nose, or on your lips. If it does get into any of these areas, wash with water. Do not use on skin that is sunburned, wind burned, dry, chapped, or irritated. Also avoid using Generic Retin-A gel in wounds or on areas of eczema. Wait until these conditions have healed before using this medicine. Generic Retin-A Gel is classified by the US FDA as pregnancy category C. This medicine may be harmful to an unborn baby. Tell your doctor if you are pregnant or plan to become pregnant during treatment. It is not known whether this medicine passes into breast milk or if it could harm a nursing baby. Do not use Tretinoin Gel without telling your doctor if you are breast-feeding a baby. You can buy Generic Retin-A Cream online from Clear Sky Pharmacy at a cheap price. Retino-A Cream in strengths of 0.05% and 0.025%, manufactured by Johnson & Johnson Private Limited, India are supplied in a tube of 20 grams. The 20 grams tube of 0.025% strength costs only $ 10 per unit when you place an order for 10 tubes.